What you see in this image is just the matter of perspective. You (as user) will see and focus with the result, but for lighting designer or lighting engineer or lighting vendor will focus to find the way to light up the beauty of architectural detail. How to choose fixtures type, find the place to put the fixtures without sacrified the architectural look. 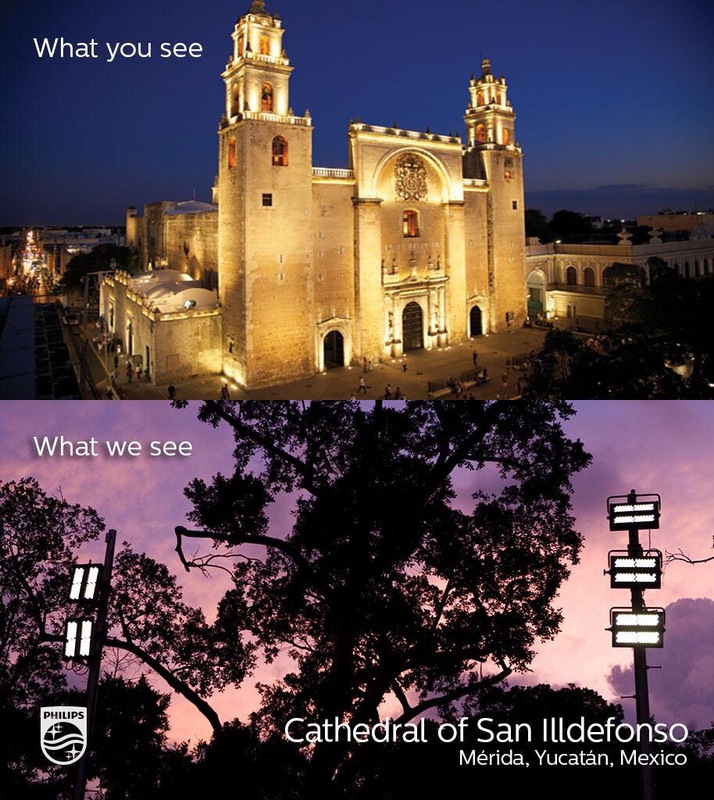 So, please enjoy the beauty of monumental Cathedral of San Ildefonso, Mexico.